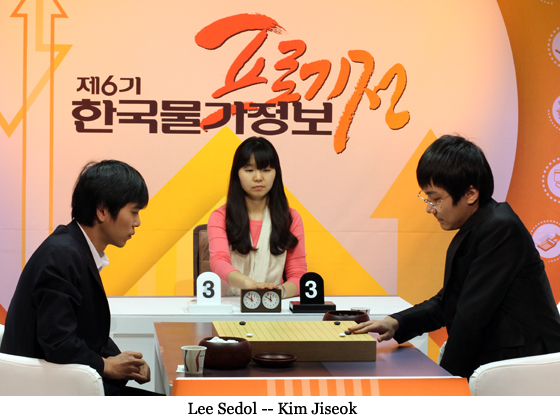 Park Junghwan 7P defeated Lee Sedol 9P by resignation in L eague play last Saturday, May 8, for the 6th Price Information Cup. With a 2-0 record, Junghwan advances to the final championship tournament, along with Park Yeonghun 9P, Choi Cheolhan 9P and Won Sungjin 9P. With a 1-1 record, Sedol will face Kim Jiseok, last year’s Price Information Cup winner, for one of the four remaining spots left in the final tournament lineup.